As the dust settles from our recent acquisition of Proving Ground and our physical merging of offices, we set our sights on the year ahead. One major initiative is telling our story on why we believe the combination of a mobile-first agency and a game studio is the future of digital experiences. loyalty, creating deeper engagements, driving conversion, and measuring the bottom line impact of these digital investments are but a few of the long and evolving list of new challenges marketers are facing every day. Today’s rapid pace of technology evolutions and shifting consumer behaviors makes for an even more uncertain future. But we have the solution: Mobile. It is simultaneously marketing’s biggest opportunity and challenge. While mobile is taking a front seat in the consumer’s mind, the marketing approach is often still fueled by campaigns rather than the larger brand experience. The biggest hurdle to digital success can be boiled down to a single gap: creating valuable and sustainable engagement. While marketers have struggled in this brave new world, the gamers have flourished. 80% of all money spent on phones is games. It’s the number one activity on phones and drives an industry expected to grow to $54 billion in 2015. Born of a necessity to monetize, the gaming community has been able to solve the classic marketer challenges: engagement, conversion, and ROI. This is the unique space where Dragon Army has placed our focus. 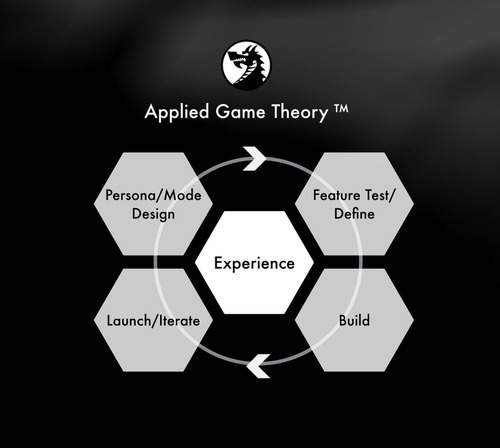 The approach is simple - leverage game theory to develop mobile experiences for brands. We transfer knowledge from our in-house game studio to the agency side, giving clients an edge when it comes to creating audience-first mobile experiences. This new methodology is what we are calling Applied Game Theory ™. Stay tuned to our blog in the coming weeks as we expand upon this new methodology to marketing in a mobile driven world.